Specializing in family law, Brent has successfully participated in trials throughout Alberta. 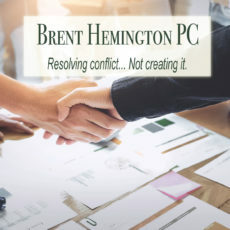 Family law, divorce, and child custody cases are difficult enough without long and drawn-out trials and pre-trial discussions, and Brent recognizes this. His clients know how effective Brent is at getting what his clients deserve in a timely manner, and rest-assured Brent will do his utmost to make sure that you and your best interests are represented in your family law case.